When we started our business in the needlework industry in the 1980s, one of the most popular magazines we launched was Sampler and Antique Needlework Quarterly. Inside those pages were patterns for sampler reproductions, historical information about needlework through the centuries, and fabulous collections of needlework and tools. I have a few pieces left from my once large sewing tool collection, and I thought these would be of interest to you. 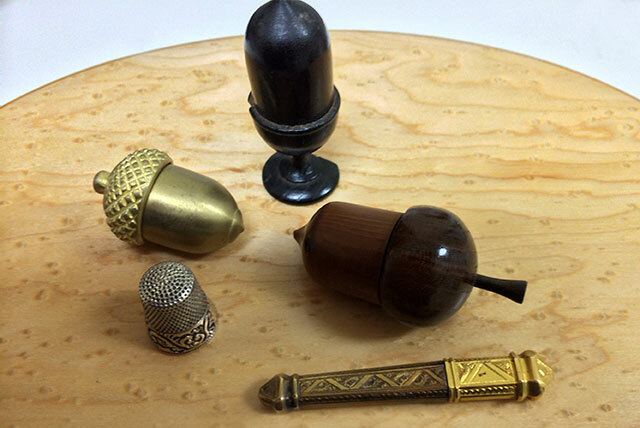 The small acorns, both wooden and brass, are thimble cases. A woman would place her sewing thimble inside for safe keeping when not in use. The barrel-shaped wooden case holds a measure tape that is hand-inked on a ribbon. If you needed to measure, you would pull it out and then rewind by turning the small spindle handle. In the spindle is a little round opening that contains a stanhope. This little optical device, introduced in the 1800s, contains images that can be seen by looking through the tiny lens. These were typically souvenirs of the day that are a kin to the small measuring tapes that are used in marketing today. The long rectangular flat brass case is for needles. These cherished needle cases held a woman’s supply of sewing needles. This one is a great example of the intricate metal work that went into sewing implements. This is just a glimpse into the fascinating world of needlework tools. I am sure in your family, you have wonderful pieces that you treasure. What do you like to collect, and how did you start your collection? Dear Aunt Ruth was the seamstress in my husband’s family. She was known for her handmade gifts and her wonderful sewing skills. A few years before she died she gave me her acorn needle case because I was the sewer in my family and because I love acorns. Her beloved husband, Clarence, brought it back from Europe for her when he returned from WW II. It is a gift that I will always cherish. Thanks, Phyllis, for this interesting post. My grandma had thimbles, but I never saw her use a thimble case. Grandma taught me how to embroider tea towels and knit checkerboard slippers. I still have the knitting needles she bought me when I was a girl, and I have her pinking shears. As far as collections go, I collect art, books, china, and tea cups! What an interesting post! I collect cookbooks and travel mugs. 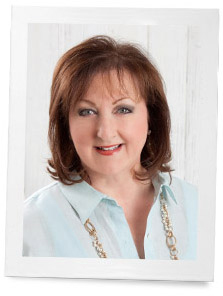 One of my favorite cookbooks is Savannah Style published by the Junior League of Savannah. It is a lovely reminder of my trip to Savannah, and the recipes are fabulous! I hope to visit a vintage cookbook store in New Orleans and find some new treasures for my growing collection! Thanks Phyliss for a trip down memory lane! Memories of my grandmothers are the best and they were both known for their sewing talents. I have a shadow box that my aunt made with many wonderful things from our grandparents and great grandparents, but the ones I love the best are my grandmothers tatting shuttle with about 2″ of baby blue tatting coming out of it and one of my grandmothers thimbles. I think my cousin has a complete collection of our grandmothers thimbles…..wish I had it hanging in my sewing room….dont think HE needs it…do you! haha…just happy someone in the family has it….Thanks for the info about the acorn cases….I had no clue, but will be looking for them in antique stores and estate sales!! Love and always enjoy your writings and everyones replies!! My grandmother was the seamstress in our house. She made all of my dresses and nightgowns. When Barbie came out, she made her an entire wardrobe which was fully lined! I am a quilter and collect pincushions. Many are remnants of old quilts and coverlets. I love anything that is connected to needlework. “Women’s work” has not been fully appreciated. Currently in my city, there is an antique quilt exhibit in an major art gallery. Only one quilter’s name and background is provided. Ladies, we need to be the guardians of the past needleworkers! Mary, I totally agree. I love my grandmothers’ things the best. I have several of my mother’s thimbles. She was a great seamstress. She made all of the clothes for me and my six sisters growing up as well as wedding dresses and trousseau. My greatest sewing treasurer is her Singer sewing machine that she used all those years. One just like it was featured in Southern Lady a couple of years ago. Mine still sews like a dream, and I cherish memories of her every time I use it. 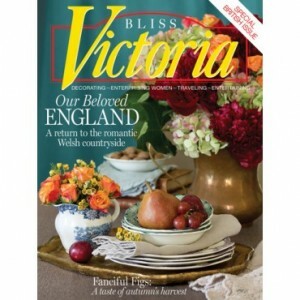 Yes Just CrossStitch magazine is still published. Moved to Annies Publishing but still going strong. google it and you will find all the information you need. I never could find a chatelaine! I would love to have one. Wonderful collectibles still out there. Did you also collect chaplains? I had my grandmother’s sterling silver thimble with her name engraved on the rim. Sadly, when I was young and did not value the heritage it represents, I gave it to a dear friend and mentor who sewed beautiful things for my little girl. If only I knew then what I know now! Have you thought of asking your dear friend if you could have it back? She may understand the significance to you now. Just thoughts. I enjoy reading each entry you write in your journal, pausing then to recall wonderful memories of times past. Both my mother and grandmother did several kinds of needlework, but sadly, I only have an embroidery hoop from their needlework basket. I collect vintage and antique Christmas items. One of my favorite “unusual” finds is a sterling silver hem gauge decorated with holly. I have my Great Grandmothers sterling silver needle case and thimble, it is amazing how small her fingers were. I also have a pretty little tape measure in a little painted pink case about the size of a quarter. It’s so interesting to see and know how the women lived so many years ago and how they managed without all the conveniences we have today. Loved telling us all about this – keep it up! Ooooh!!! Thanks so much, Joanne. Yes it is still in publication. Google it. It is ow owned by Annie’s.